The launch finally occurred after some delays, and this new satellite will provide commercial free entertainment to more than 25 million subscribers. 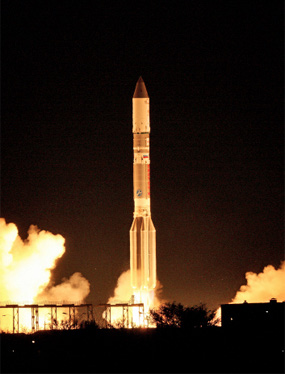 The successful launch of the Sirius FM-6 satellite aboard an ILS Proton launch vehicle. Photo courtesy of Business Wire. International Launch Services (ILS) successfully carried the Sirius FM-6 satellite, built by SSL, into orbit via an ILS Proton for Sirius XM Radio Inc. The ILS Proton Breeze M vehicle launched from Pad 39 at the Baikonur Cosmodrome at 00:09 local time, at 18:09 GMT and 14:09 EDT, on October 25th. The first three stages of the Proton used a standard ascent profile to place the orbital unit (Breeze M upper stage and the Sirius FM-6 satellite) into a sub-orbital trajectory. From this point in the mission, the Breeze M performed planned mission maneuvers to advance the orbital unit first to a circular parking orbit, then to an intermediate orbit, followed by a transfer orbit, and finally to a geostationary transfer orbit. Separation of the Sirius FM-6 satellite occurred approximately 9 hours and 11 minutes after liftoff. The satellite, weighing over 6 metric tons, was built on the flight-proven SSL 1300 platform. This was the 6th satellite launched by ILS Proton for SiriusXM and the 27th SSL 1300 satellite launched. Sirius FM-6 has an X-band uplink transponder and an S-band downlink transponder to deliver digital audio radio service. With approximately 20 Kw end-of-life power and an anticipated service life of 15 years, the Sirius FM-6 satellite is one of the most powerful satellites built today. The final orbital location for the satellite will be 116.15 degrees west longitude. This was the 390th launch for Proton since its maiden flight in 1965 and the 83rd ILS Proton Launch overall. The Proton Breeze M vehicle is developed and built by Khrunichev Research and Production Space Center of Moscow, Russia’s premier space industry manufacturer and majority shareholder in ILS. The mission was originally delayed from to allow teams to resolve an issue with a ground station in South Africa. It was determined that more time was needed to resolve the issues and verify that the ground station network was ready to support the mission and initial communications acquisition—the delay was at the request of the customer, Sirius. Sirius FM-6 is a high-power geostationary satellite for SiriusXM, America’s largest radio broadcaster measured by revenue and one of the world’s largest pure-play audio entertainment companies. Sirius FM-6 will help with the delivery of commercial-free music, and premier sports, news, talk, entertainment and Latin programming, traffic and weather to more than 25 million subscribers. Sirius FM-6 will also help in the delivery of traffic and other data service information to markets across North America for vehicles with navigational systems. SiriusXM is installed in vehicles of every major automaker and available for sale at retail locations nationwide. Sirius FM-6 will ensure SiriusXM’s array of audio and data services are received by vehicles, mobile devices and home receivers and will play an important role in bolstering the continuity of service for years to come. OmniAccess S.L. 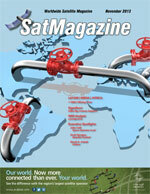 has launched a 100Mbps dedicated VSAT service. The upgraded Broadbeam Ultra variant is based on iDirect’s next-generation X7 modem platform and XipLink’s WAN optimization appliance and is the latest addition to its high throughput Broadbeam VSAT service plans. By leveraging the maximum efficiency of the X7 and Xiplink combo, OmniAccess is able to offer an unparalleled 100Mbps single-link VSAT service to customers across the Caribbean and Mediterranean. The service has been designed and engineered to meet the high throughput requirements of demanding users who are increasingly using bandwidth-hungry applications and IPTV streaming solutions, such as the upcoming High Definition Plexus TV services. Earlier this year, OmniAccess was appointed as a launching customer for iDirect’s next-generation platform and is now deploying the X7 satellite modems on-board its vessels and upgrading its ground infrastructure to the new Evolution iDX 3.2 software. With the X7’s built-in support for high-speed and high-efficiency applications, customers can upgrade to OmniAccess’ latest service offering without the need to change the existing iDirect VSAT platform. Unlike other TDMA service standards that peak at 15Mbps, the BroadBEAM Ultra 100 is capable of exceeding these limitations while still using the prevailing TDMA iDirect architecture. This platform consistency allows OmniAccess to provide flexibility, scalability and competitive fees across its entire fleet. A Bolivian delegation will travel to China to witness the December 20th launch of the country’s China-built “Tupac Katari” telecommunications satellite, Bolivian President Evo Morales announced. 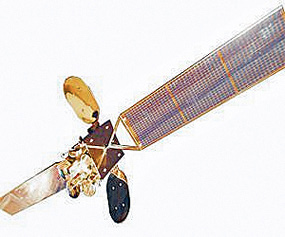 Artistic rendition of Bolivia’s Tupac Katari satellite. Chinese Ambassador to Bolivia, Li Dong, has extended an invitation to the Bolivian delegation, the Ministry of Public Works said. Morales called on his ministers of Communication, Health and Education to continue working to make the most of the satellite in their respective fields. So far, the government has installed 1,000 transmission centers in the country’s most remote communities to bring Internet access to residents there. Once the satellite is in operation, communication costs in Bolivia should drop. The head of state added Bolivia plans to bolster its communication with South American neighbors through sharing the satellite’s benefits regionally. “We hope the experts will continue to provide us with guidance, so this satellite can serve to integrate all of South America,” he said. Morales said he also hopes that an exploratory satellite will be launched one day to provide data on national territory and natural resources. According to the BSA, the satellite will be launched from northwest China’s Jiuquan Space Center. The $300 million, 5.2 ton Tupac Katari satellite, financed by the China Development Bank and the Bolivian government, is designed to expand television, Internet and mobile telephone services to rural Bolivia from its orbit 36,000km above the Earth, and has a life expectancy of 15 years. NOAA will also introduce new forecast products for severe weather, volcanic ash advisories, fire and smoke monitoring and other hazards. A key instrument that will fly on the Geostationary OperationalEnvironmental Satellite – R (GOES-R) spacecraft, NOAA’s next-generation of geostationary satellites, is clearedfor installation on the spacecraft. Lockheed is building the spacecraft for the GOES-R series. The Advanced Baseline Imager, or ABI, is GOES-R’s primary instrumentfor scanning Earth’s weather, oceans, and environment and is a significant improvement over instrumentson NOAA’s current geostationary satellites. The ABI will offer faster imaging with much higher detail.It will also introduce new forecast products for severe weather, volcanic ash advisories, fire and smoke monitoring and other hazards. Mary Kicza, assistant administrator for NOAA’s Satellite and Information Service, said, “The ABI offers breakthrough technology that will help NOAA develop faster and more accurate forecasts that will save lives and protect communities. (Credit: Exelis) The first satellite in the GOES-R Series is currently scheduled for launch in early 2016. GOES-R’s instruments will also feature improvedlightning detection and solar weather monitoring tools, and will provide near real time data to forecasters during severe weather events. The ABI has two scan modes. It will have the ability to continuously take an image of the entire planet, or a full disk image, every five minutes compared to every 30 minutes with the current GOES imager. It also has an alternative, or flex mode, which will concurrently take a full disk image every 15 minutes, an image of the continental U.S. every five minutes, and smaller, more detailed images of areas where storm activity is present, as often as every 30 seconds. This kind of flexibility and increased frequency of images is a boon for forecasters. —Magnetometer, which will provide measurements of the magnetic field surrounding Earth that protects the planet from charged particles released from the sun. These particles can bedangerous to spacecraft and human spaceflight. The geomagnetic field measurements will provide alerts andwarnings to satellite operators and power utilities. A sixth instrument, the Extreme X-Ray Irradiance Sensor (EXIS), was completed in May 2013 and wasthe first of GOES-R’s instruments to be ready for integration. EXIS will provide important early warningsof impending solar storms and give scientists a more accurate measure of the power of solar energy radiatingtoward earth, which can severely disrupt telecommunications, air travel and the performance of power grids. 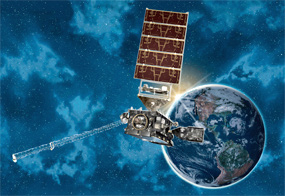 NOAA manages the GOES-R Series program through an integratedNOAA-NASA office, staffed with personnel from both agencies and located at NASA’s Goddard SpaceFlight Center in Greenbelt, Maryland. The Bolivian National Telecommunications Company (Spanish: Empresa Nacional de Telecomunicaciones, Entel) has awarded the implementation of 1,000 satellite telecentres to Gilat Satellite Network for $12 million. Internet, telephone and television services will be provided via Tupac Katari (TKSAT-1), a telecommunications satellite that is expected to launch this year aboard a Chang Zheng 3B/E (CZ-3B/E) booster from the Xichang Space Center in Sichuan, China. The satellite will pack 30 transponders and is being built by China Great Wall Industry Corporation with a projected 15 years of service. Entel will also invest another US$ 8 million to deploy base stations for coverage of the local route of the 2014 Dakar Rally race. Eutelsat Communications (Euronext Paris: ETL) and Es’hailSat have announced that their jointly owned EUTELSAT 25B/Es’hail 1 satellite, a joint venture satellite, launched on August 29th, went into commercial service at 25.5 degrees East. Traffic on Eutelsat’s EUTELSAT 25C satellite at 25.5 degrees East was transferred onto Ku-band transponders commercialized by Eutelsat on the new satellite during the night of October 28th to 29th. This transfer has released EUTELSAT 25C for a new mission for Eutelsat at 33 degrees East, where the satellite will be copositioned next month with EUTELSAT 33A to bring additional capacity to this orbital location. EUTELSAT 25B/Es’hail 1 brings increased capacity to 25.5 degrees East to serve broadcasters, businesses and public agencies operating in the Middle East, North Africa and Central Asia. 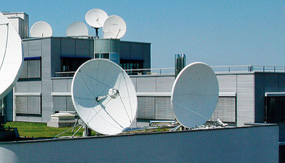 The new satellite operates in both Ku and Ka-bands. A team from aid agency Télécoms Sans Frontières helped set up emergency communications centers to reconnect towns on the island of Bohol in the Philippines. The telecoms experts were called-in to restore critical communications after the island was devastated by an earthquake which measured 7.2 on the Richter scale. Almost 400,000 were affected by thequake which triggered landslides engulfing homes and destroying infrastructures. TSF focused its operations on three towns Loon, Maribojoc and Sagbayan, which had all been cut off from the rest of the country. The Inmarsat-sponsored agency collaborated with children’s rights organisation Plan International, the United Nations Office for the Coordination of Humanitarian Affairs and local telephone operator SMART. The Inmarsat-sponsored agency also set up humanitarian calling giving people affected by the disaster the opportunity to make a free satellite phone call to let their loved ones know they were safe. 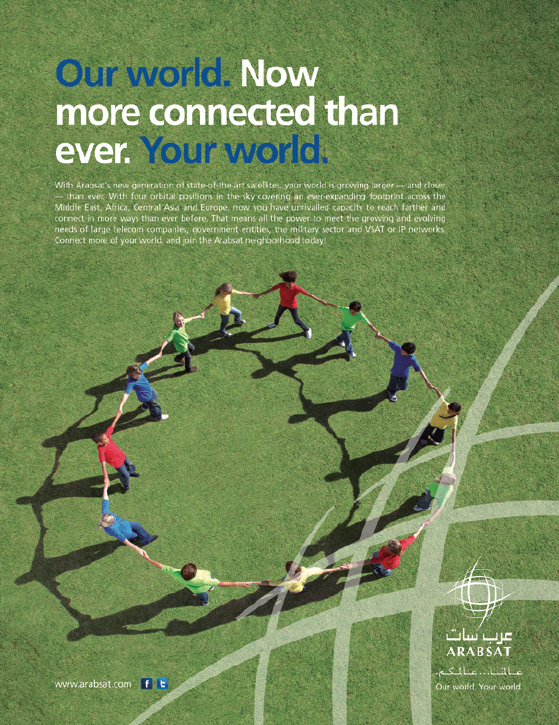 Thuraya Telecommunications Company has been named winner of the Innovation Award at the Lloyd’s List Middle East and Indian Subcontinent 2013 Awards. Thuraya won the award for the Thuraya SatSleeve, its unique satellite adaptor for the iPhone that enables maritime and offshore users to stay connected from remote locations outside of terrestrial networks with their iPhone. The award judges recognized the SatSleeve’s ability to keep seafarers in touch with their loved ones as well as facilitating vital business communications for officers and crew when operating outside coverage of terrestrial networks. 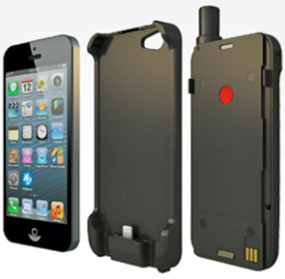 Compatible with iPhone 4/4S and 5/5S, the Thuraya SatSleeve supports voice calls, SMS and basic data connectivity in satellite mode. Users can pre-program an SOS number into the Thuraya SatSleeve to contact a nominated first responder – a feature that works even without the iPhone connected. Signalhorn has been selected for the operation and management of a pan-African network for one of the world’s leading providers of offshore service vessels to the global energy industry. Under the terms of the three-year contract extension, Signalhorn will provide a mission-critical, multi-megabit communications network to its customer’s key African locations in Angola, Nigeria and Cameroon. The contract renewal builds upon Signalhorn’s four-year relationship delivering satellite and terrestrial links for this customer, and reinforces Signalhorn’s commitment to customer care, quality assurance and delivering trusted networks. Signalhorn delivers the service to the customer’s network across the African continent through regional points of presence and its teleports located at technical centers in Germany and Switzerland. Signalhorn’s service includes communications for the company’s core networks, crew welfare, contractors, and regulatory and safety requirements. The energy marketplace is a global playing field, and energy companies must have the mobility and flexibility to operate anywhere in the world at any time. OilComm Conference and Exposition (http://www.oilcomm.com/exposition.html). 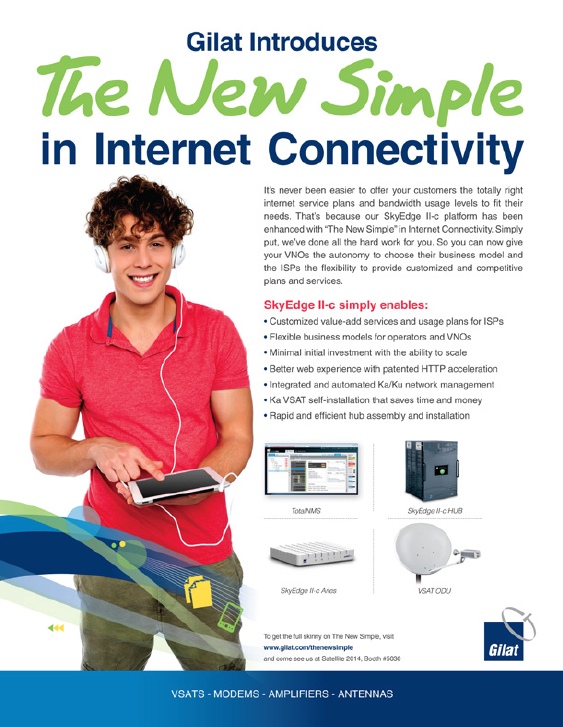 strengthens connectivity to your drill sites, your assets and your professional colleagues. OilComm is the only event dedicated to the communications challenges faced in the oil and gas community throughout the lifecycle of the platform and no matter where the drill site is located. One of the companies in attendance is Global Data Systems, Inc. (GDS) which will be in booth 107 on the show floor November 7—8 at the George R. Brown Convention Center in Houston, Texas. Founded in 1987 and headquartered in Lafayette, Louisiana, Global Data Systems is a full service telecommunications satellite, data center, cloud, network technology and cable/wire services provider to SMB and Enterprise clients in several states. The company has additional offices in Baton Rouge, New Orleans and Houston, Texas. The energy marketplace is a global playing field, and energy companies must have the mobility and flexibility to operate anywhere in the world at any time. Technology can help keep far-flung energy companies in touch with mission-critical information, however managing such a widespread network offers its own sets of challenges. Remote access and remote office solutions require a robust network infrastructure along with effective data and application delivery mechanisms. GDS staff have a foundation in core network technology and have proven to be indispensable in helping energy clients deploy and manage wide-area networks for multiple years. Virtualization services enable centralized management of access, applications and data while allowing global access. • Networking Receptions Wednesday, November 6 and Thursday, November 7; Join hundreds of colleagues across all disciplines in the oil & gas community for the nightly receptions to connect, collaborate and enjoy drinks and hors d’oeuvres!